Do you feel the desire to be on the beach? If strolling beaches is your passion, you have just found plenty of it to walk on. Welcome to Lido Key where the views are awe inspiring. Lido Key has always lured heralded artists, intellectuals, and celebrities, as well as the many upwardly mobile entrepreneurs. Although smaller than Siesta or some of the other Sarasota barrier island beaches, Lido Key still is able to deliver a vast amount of diverse activities and plenty of white sand into its compact area. Within minutes of the stellar Lido Key beaches, you can be experiencing world class art galleries, unparalleled dining, and live theater performances. 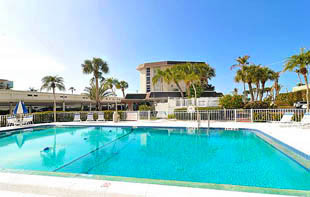 Like a jewel in the perfect setting Lido Key is located west of renowned St. Armands Circle. With New Pass, Big Pass, the Gulf of Mexico, and Sarasota Bay at its borders, Lido Key’s scenic locale provides the perfect environment for those who love a view of the water. St Armands Circle and Lido Key are linked to the Sarasota mainland and to Longboat Key by bridges. These bridges provide Lido Key residents with easy access to all the sundries they need, be it those of necessity or those for inspiration. 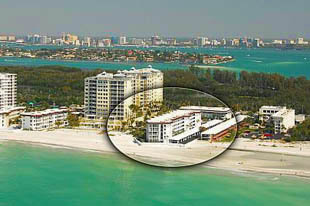 Nestled on the south end of Lido Key at 2100 and 2110 Ben Franklin Drive, rests the Lido Harbor South condo complex. 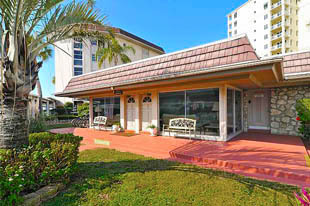 Built in 1967, this cozy 56 unit community is located within convenient walking distance to South Lido Beach Park and the noted Ritz Carlton private beach club. The South Lido Beach Park features shady picnic areas, a swimming beach, kayak and canoe launch areas, and the grand vistas of the Bay, Gulf of Mexico, and downtown Sarasota. The condos for sale at Lido Harbor South are some of the more affordable. Many of the residences feature floor to ceiling windows offering up panoramic vistas of the water and beach as well as provide unit enhancing natural light. The complex is complete with elevators and a swimming pool, as well as limited covered parking. The Lido Harbour South Condos for sale are usually one and two bedroom and two bath residences measuring 778 Sq Feet to 1,607 sq feet with price points in the upper $300,000 to mid-$600,000 range depending on the location and interior treatments. The enjoyable aspect about this location is really about the ease and convenience of getting everywhere you need to go. Residents can ride a bike or even walk to St. Armands Circle dine, shop, or just explore the over 130 quaint cafes, shops, and trendy restaurants. Golf and tennis is only five minutes away on the south end of Longboat Key and boaters can drop anchor in the calm waters of the pass to come ashore and picnic in the park. Below are all of the current real estate listings available for sale at Lido Harbor South .